Combination Resume: Who is it for? This format is best for job hunters with lots of experience and accolades. Similar to applicants with functional resumes, the combo style presents your skills right up front. If you’re applying for a job that requires certifications or technical skills, a combination resume is a great way to display this central kind of experience. The Combination Resume is perfect if you have robust experience or a laundry list of certifications. 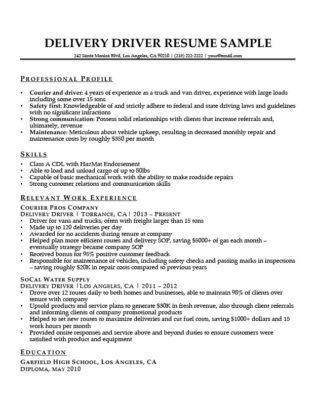 As the combination style features skills over work experience, this resume is particularly useful for job hunters who are attempting to enter a new industry or change careers. Because so many skills can be transferred between industries, highlighting these will prove beneficial for workers looking to switch fields or industries. Still, even though the combination template looks to highlight skills, the reason it’s a “combination” resume is because it allows you to also heavily feature your specific work history. So, if your past job duties or accolades are impressive, but you’re looking to swap fields, the combo style is just the thing you need. If you are an entry-level worker or want to focus more on job experience, check out our Chronological Resume Format. Obviously your application needs to include your basic info. Be sure to put your name and contact info, including phone number and email, at the top. Some applicants also like to include their personal website (if it looks professional) or a LinkedIn profile in this section, but this is optional. On our templates, where it has the title at the very top, is where you would write your name. Your name should be the biggest text on the page, always. Because your combo resume is meant to emphasize your skills, you need to begin with a professional profile or qualifications summary. Both of these resume introductions are meant to introduce your skills, but they do it in slightly different ways. The purpose of a qualifications summary is to display your achievements in light of your listed skills, as opposed to the professional profile where you address the skills you gained in your previous work. Which one you choose is mostly a matter of preference, but for a combination resume, a qualifications summary might be more useful as you are highlighting both skills and accomplishments considering this format is designed for applicants with higher levels of experience. In a combo style resume, you need to place your skills section above your professional experience. If you’re using this format, you’re probably a mid / senior level applicant, thus your skills section will be at least the same size as your work history section. Make sure you keep similar skills grouped together for clarity. And if you can quantify your skills (e.g., managed 3 separate projects with 8 team members), make sure you do so. The skills section part of a resume can be one of the trickiest, but also one of the most important. You have all the skills you need, but if you need to learn how to list them we’re here to help. Your professional experience section is basically going to look the same regardless of the format you use. Many resume writers make the mistake of listing the most basic responsibilities of a job under each position – resist doing that. Your bullets should be dynamic and accomplishment oriented, while still communicating what you did in each job. So, if you were a janitor, avoid writing you “swept the floor.” Rather, discuss how many rooms you swept per day, and to what degree of quality. And if you were ever acknowledged for your work, mention that too. As always, quantify where you can. 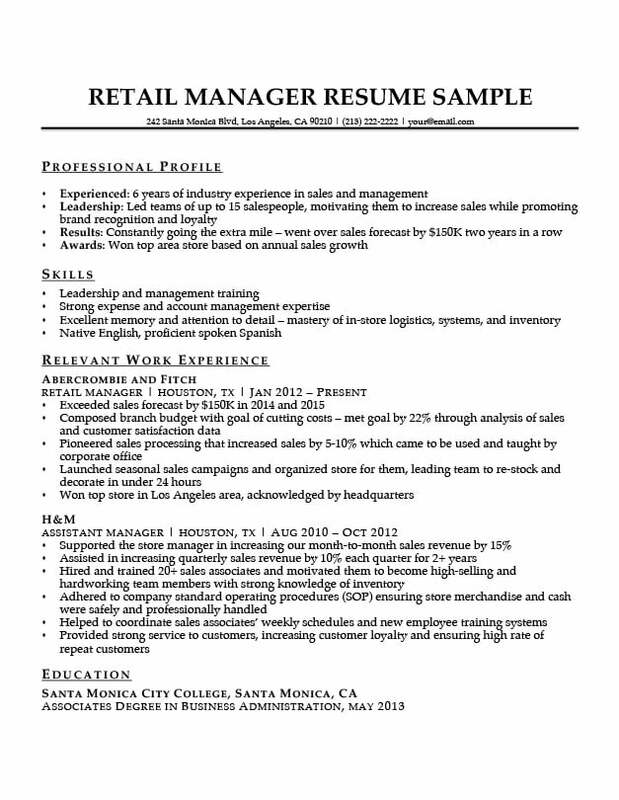 This resume format does not emphasize education very much. Educational achievement is best utilized by entry-level candidates who don’t have as much work experience, but the combination resume is best used by job seekers with a longer work history and skill list. Still, you should mention that you do have your degree or educational certificate, and if you have done any pertinent academic work, include that information here. If you need more information about how to compose your education section, be sure to check out our resume education writing guide. 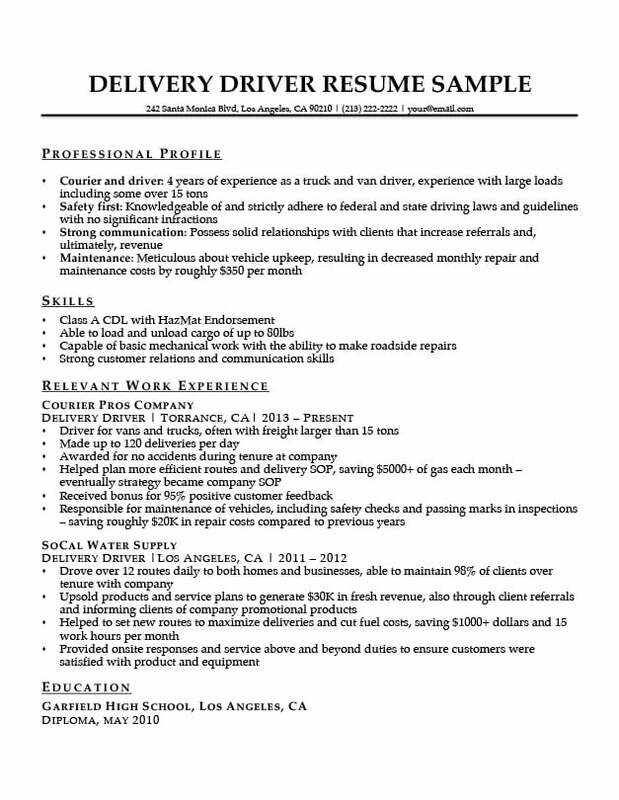 If you’re looking for other office work or marketing resumes, you can find them here. 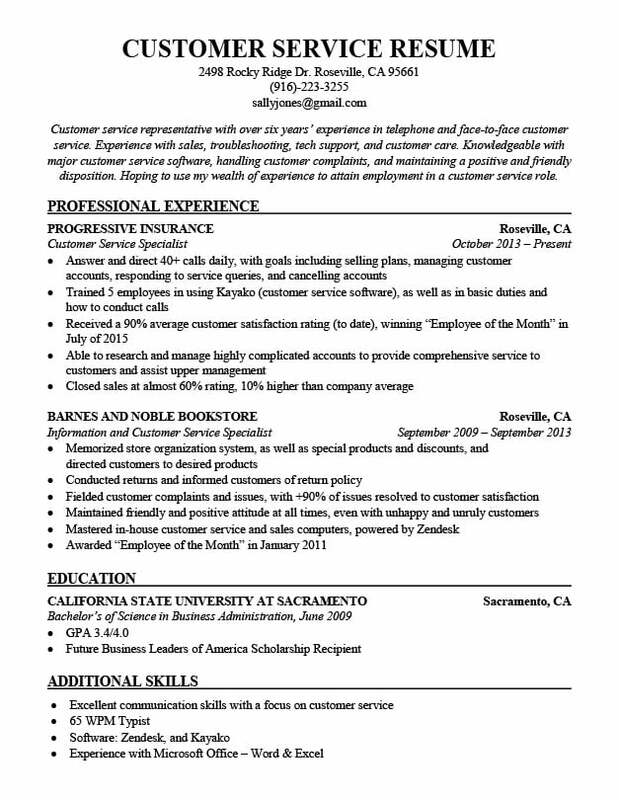 If you’re looking for other customer service resumes, you can find them here. If you’re looking for other maintenance or transportation resumes, you can find them here.